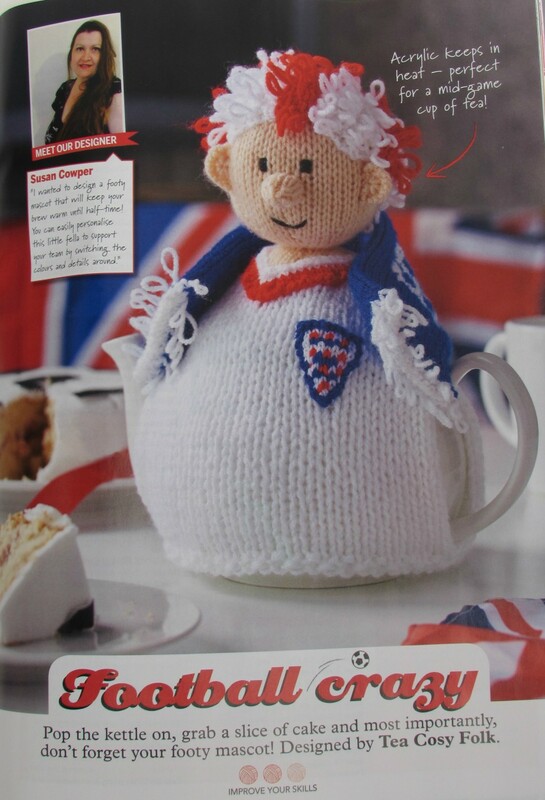 The Football Crazy tea cosy was designed for the Simply Knitting Magazine issue 172 which went on sale on the 17th of April 2018. 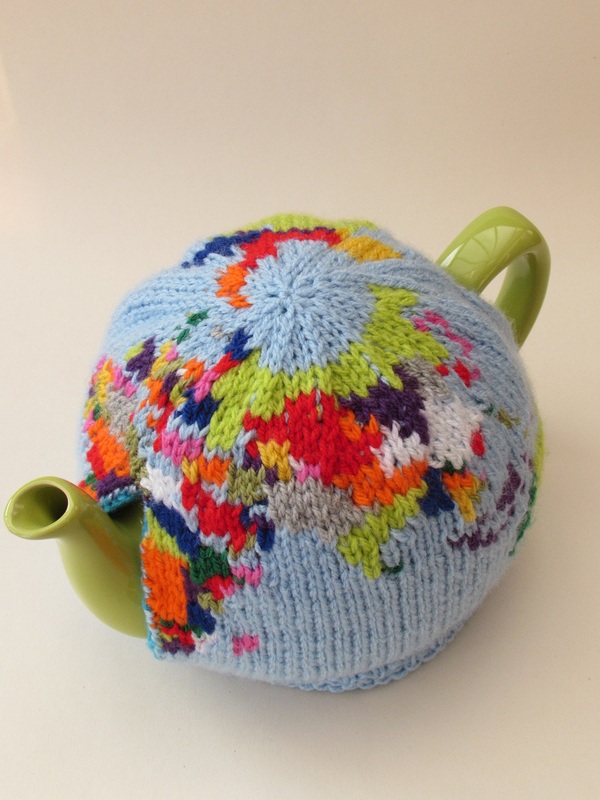 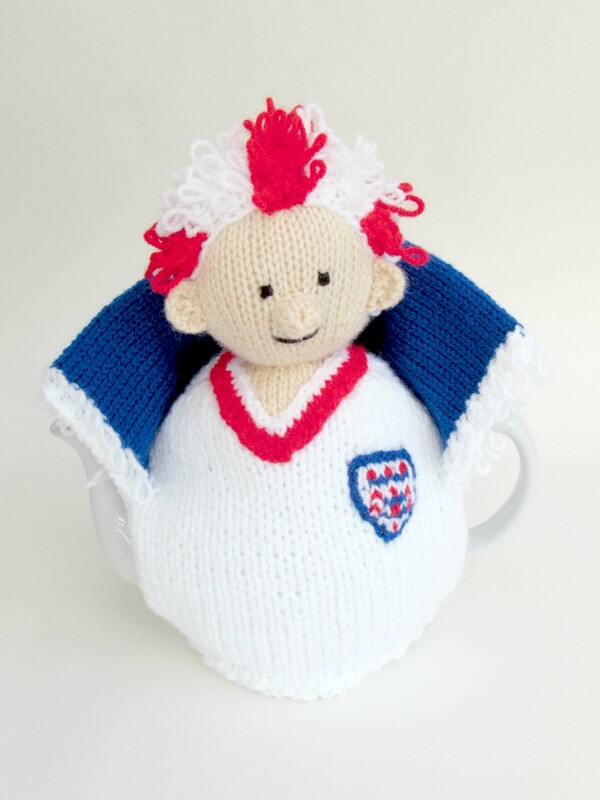 The intention was that the Football Crazy tea cosy would look like a typical World Cup 2018 football supporter. 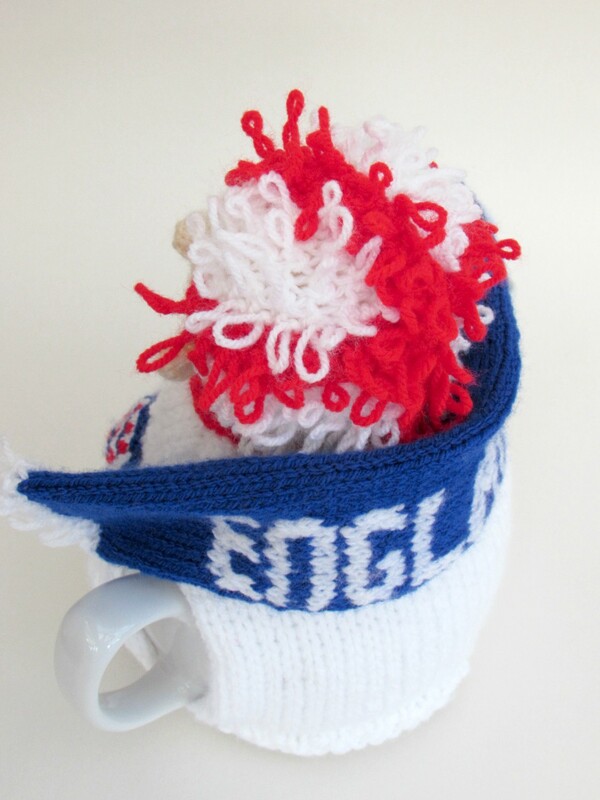 I took my inspiration from old news reports of such events and had a look at what football fans were wearing, and modeled the tea cosy on them. 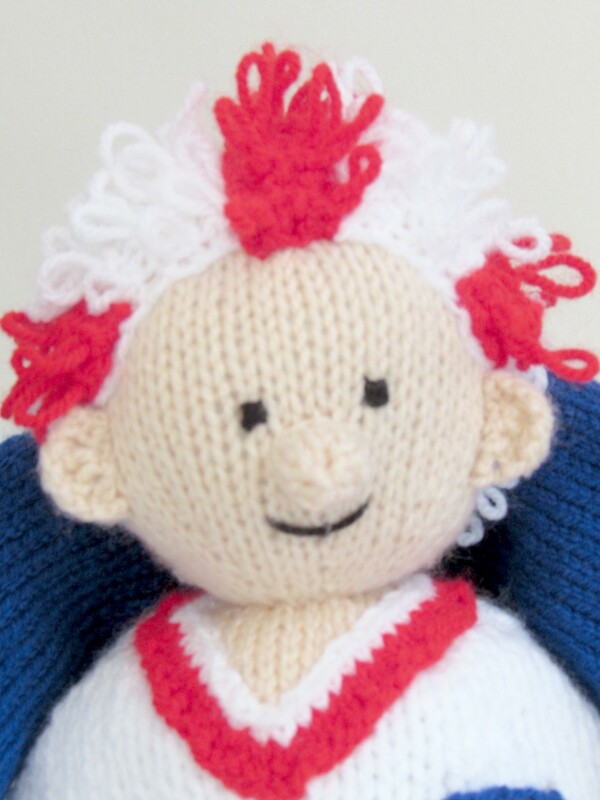 I love the red and white wig. 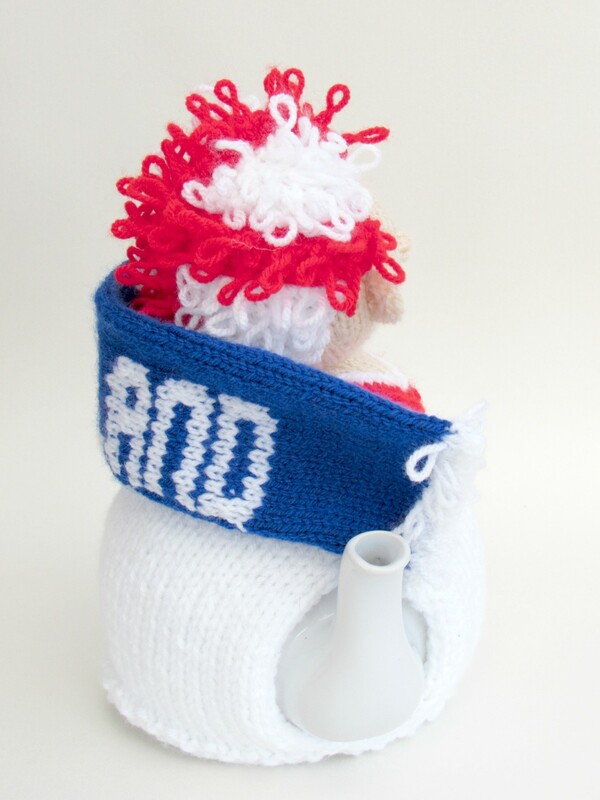 Its knitted with a loopy stitch and just looks fabulous on his head, making him really look the part. 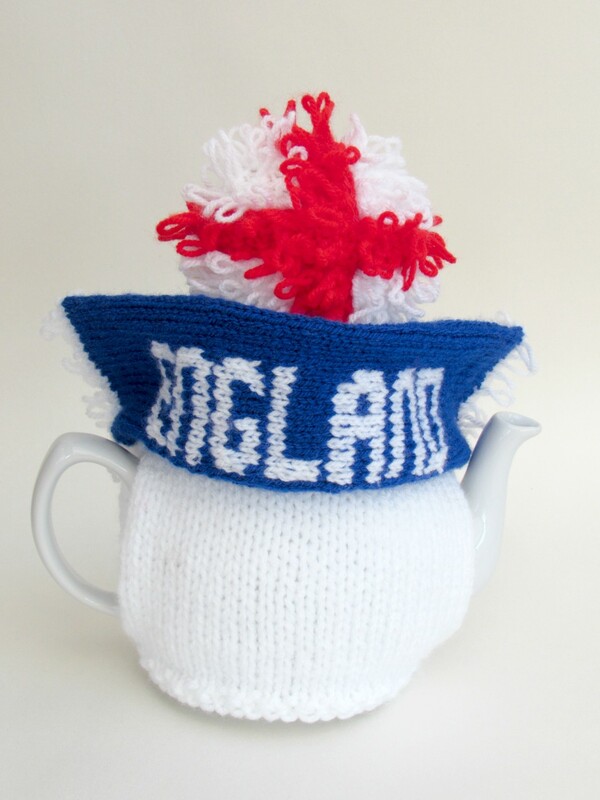 I know too that football scarves are really central to supporting your team, so I looked up what the England fans scarf would look like for 2018, and designed something similar for the tea cosy. 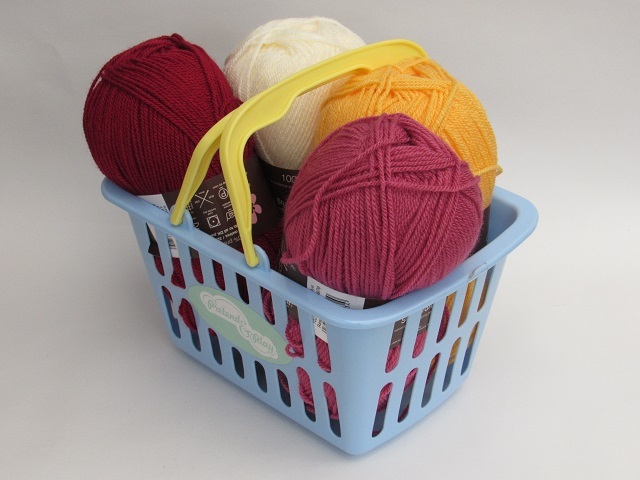 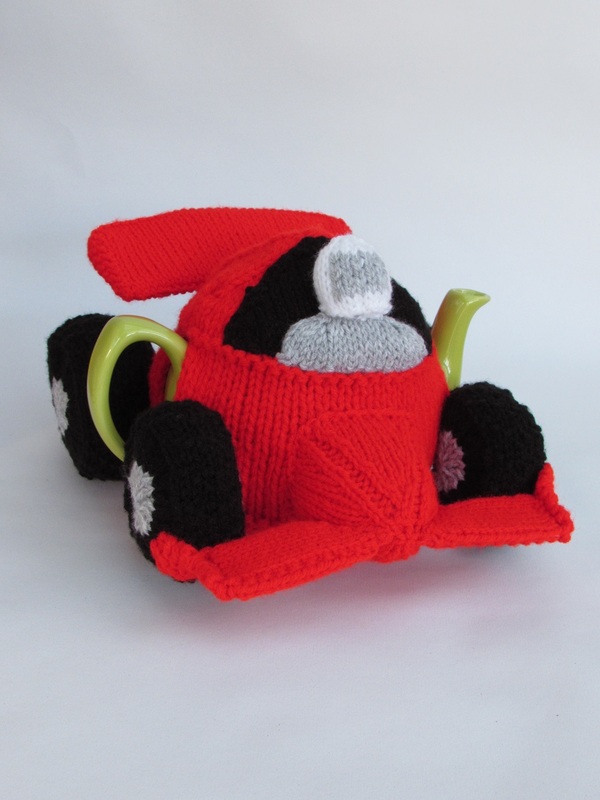 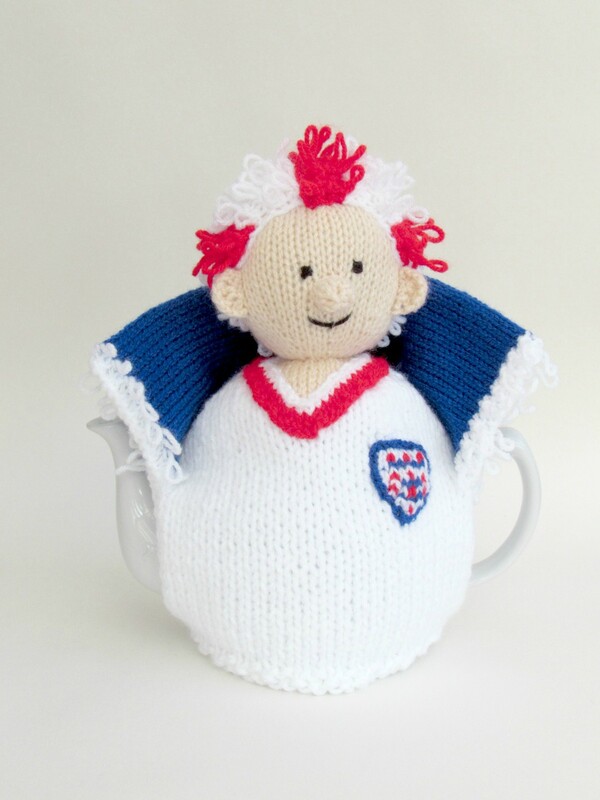 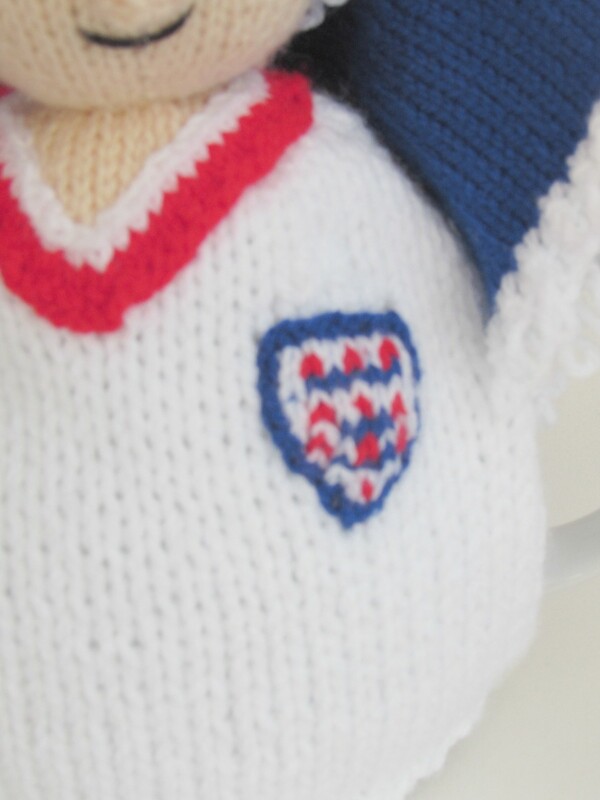 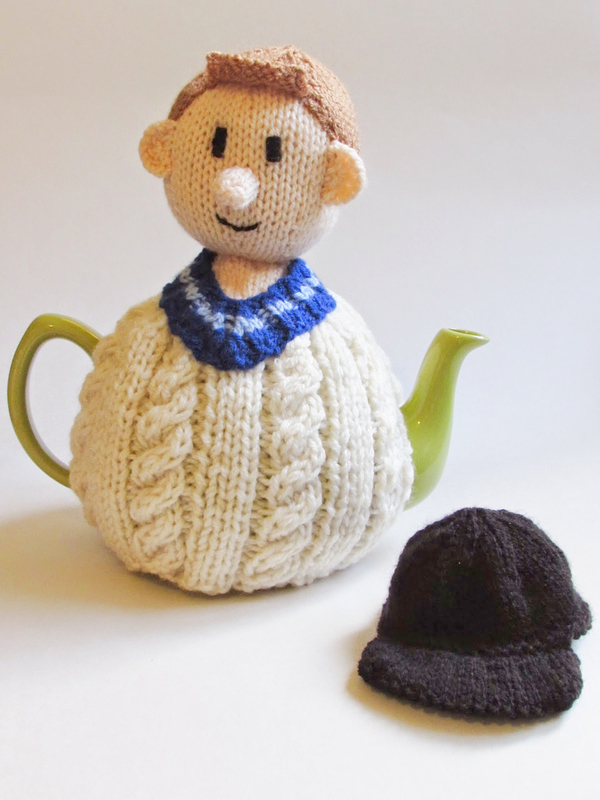 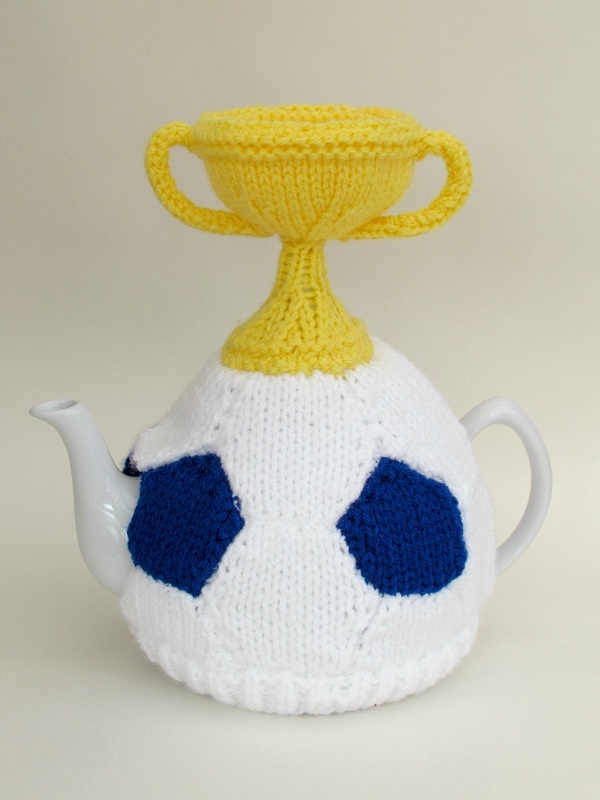 He a fun to make tea cosy, and is perfect for offering support to your team during the World Cup football tournament. 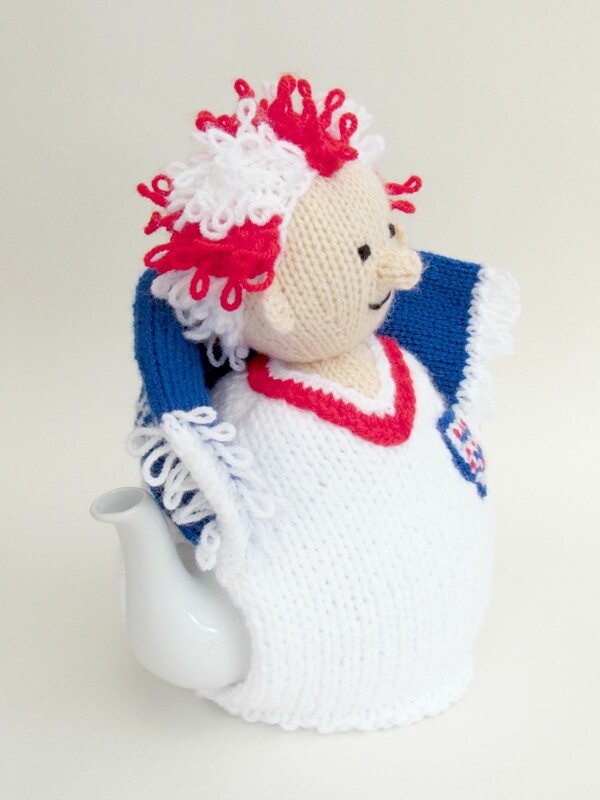 The Football Crazy tea cosy knitting pattern will be available to buy from the TeaCosyFolk website from the 17th Nov 2018.